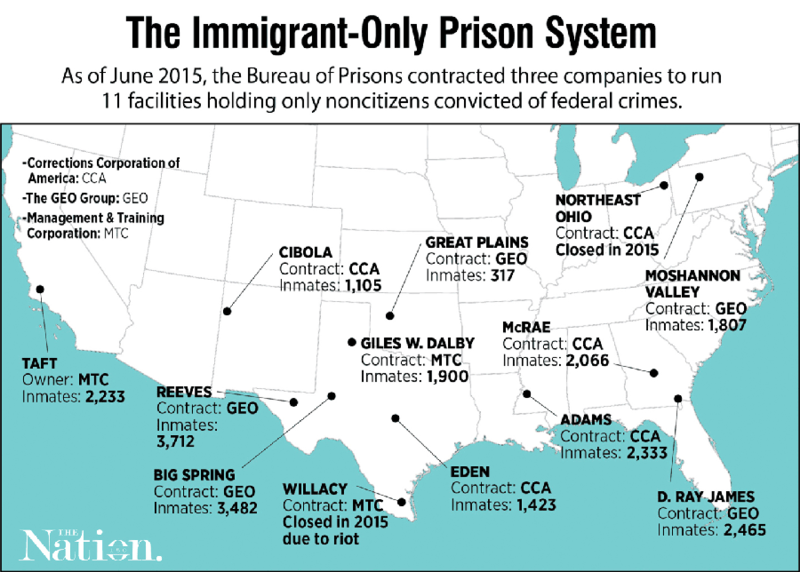 How federal authorities let dozens of immigrants die in segregated, privatized prisons. In at least 25 case medical neglect appears to have contributed to inmates’ premature deaths. The BOP was repeatedly warned of inadequate medical care in its contract facilities, but declined to take action. 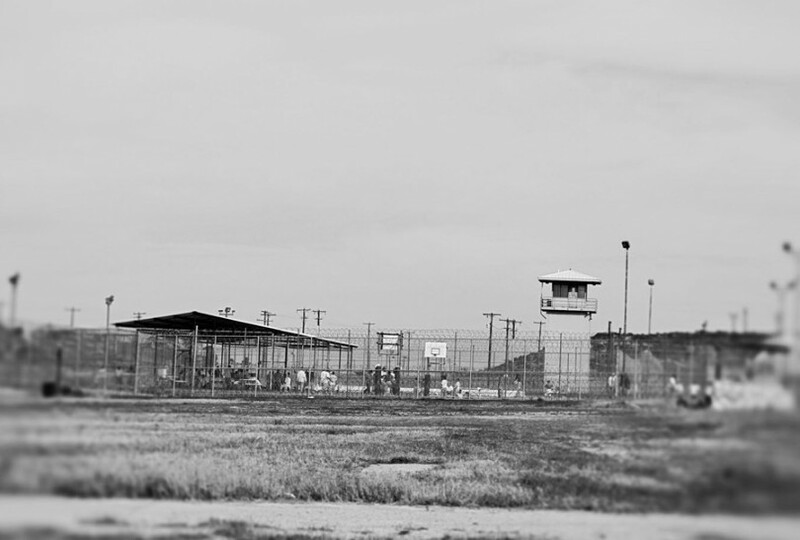 Many of the dead and 40% of all inmates in these facilities were imprisoned only for the crime of illegal entry. On August 18, 2016, the Department of Justice under President Obama announced that it would eliminate private prisons. On February 23, 2017, President Trump’s attorney general, Jeff Sessions, reversed the directive. Each case file—sometimes hundreds of pages long—was reviewed by at least two independent doctors who rendered opinions on the adequacy of the medical care provided. Some of the case files are meager and appear to be missing pages. But of the 78 that provided enough information to render a judgment, the doctors found that 37 contained indications of inadequate medical care. In 25 of these—a third of the total—the reviewers said the inadequacies likely contributed to the premature deaths of the prisoners. In only 26 cases did at least one reviewer find indications that the care had likely been in accordance with recognized medical standards. This investigation is featured in an episode of Reveal, a podcast and public radio show produced by The Center for Investigative Reporting and PRX. In early 2014, an LVN at another facility—this one run by MTC—similarly failed to complete a basic test. Tasked with evaluating a man who complained of chest pains, the LVN attempted to use an electrocardiogram machine. But he wrote in his notes that he couldn’t get the machine to work because the patient’s ”skin is oily and electroids [sic] did not stick.“ Rather than call a doctor, the LVN checked a box marked ”No action indicated at this time“ on the form for chest-pain complaints. The patient later died of a heart attack, despite subsequent treatment. Doctors who reviewed the file were divided about whether the shoddy care contributed to his death. In the aftermath of the 2008 and 2009 riots at Reeves, BOP monitors began to visit the facility more regularly to check on healthcare conditions. But the increased oversight accomplished little: Each time the monitors returned, they found that Reeves had failed to fix the problems. One year after the riots, Reeves remained derelict. ”The lack of an internal system of administrative and clinical controls has contributed to the provision of less than adequate medical care,“ the monitors wrote. Acosta’s common-law wife, Guillermina Yanez, showed me a photograph of him before his illness. Acosta appeared youthful and strong, his T-shirt hugging muscular arms. Then Guillermina showed me a picture taken after she and the couple’s 2-year-old daughter, Tania, boarded a bus from Atlanta to visit him in the hospital. Acosta’s frame was now skeletal, his face sunken, his chest tattoo pinned to paper-thin skin. ”I asked a question to the guards: ’Looking at him, how could you have left him to look like that?’“ Guillermina recalled. Acosta died in late January 2011. 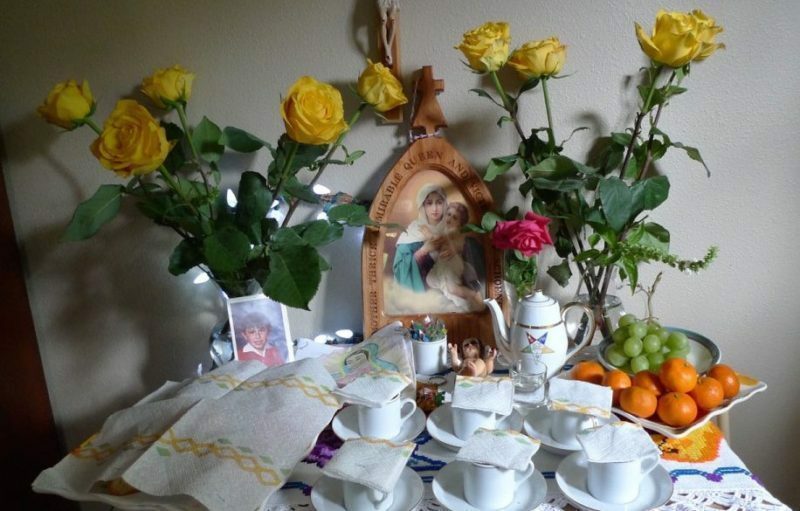 In a will that a nurse’s assistant at the hospital helped him prepare, Acosta wrote: ”I want the deed to my house and land“—in a small town by a river on El Salvador’s far eastern edge—”to be placed in the name of the mother of my daughter.“ Salvadoran officials facilitated the return of Acosta’s body to the country of his birth. Seth Wessler was interviewed about his investigation on Democracy Now! here and here, the Leonard Lopate Show, New Mexico’s KUNM, Georgia Public Radio, and CSPAN’s Washington Journal. Only after Garay was declared dead did the officers remove his shackles. “It was as if they were saying, ’If you’re still alive, then you’re under my control,’” Alvara told me later in the room where her son had slept, his closet still full of clothes. The full scale of the medical neglect at these immigrant-only contract prisons has remained opaque—until now. Two months before Zamora died, the BOP warned Taft’s operators that “security procedures” in the SHU “were not always followed.” Nor were they at the GEO Group’s Big Spring prison, where five correctional officers were criminally charged because they falsely claimed that rounds were performed. There, a prisoner named Luis Bent killed himself in his solitary cell on a night when the guards failed to perform their required rounds. "We went to sleep thinking they were going to give him proper medical care." I asked the BOP if it took any action after Zavala’s death. The bureau did not respond. Technically, MTC may not have violated its contract, but the company was worried about liability. The after-action review was conducted “in anticipation of ligation,” it said.